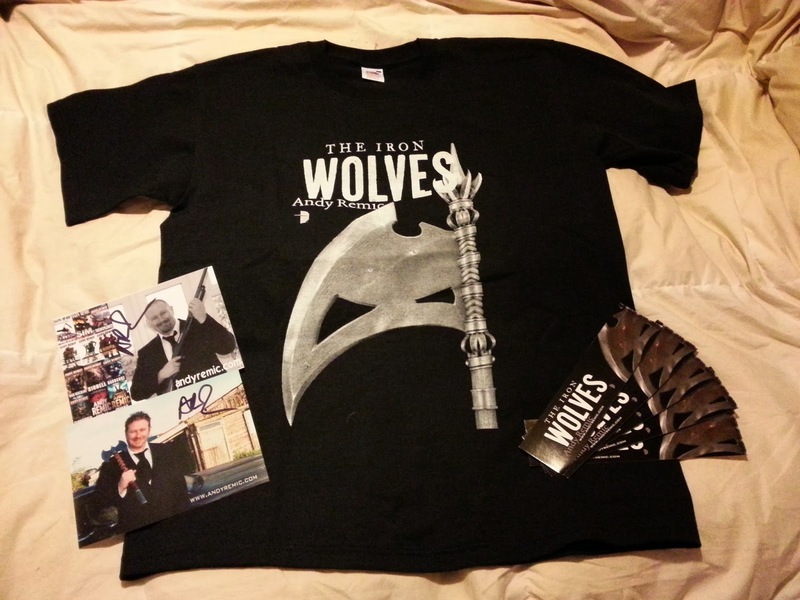 For starters, this week saw the arrival of my highly-anticipated package of Iron Wolves swag, courtesy of Andy Remic. Giant monsters and tremendous havoc brought to you by master authors Larry Correia, James Lovegrove, Peter Clines, and many, many more! 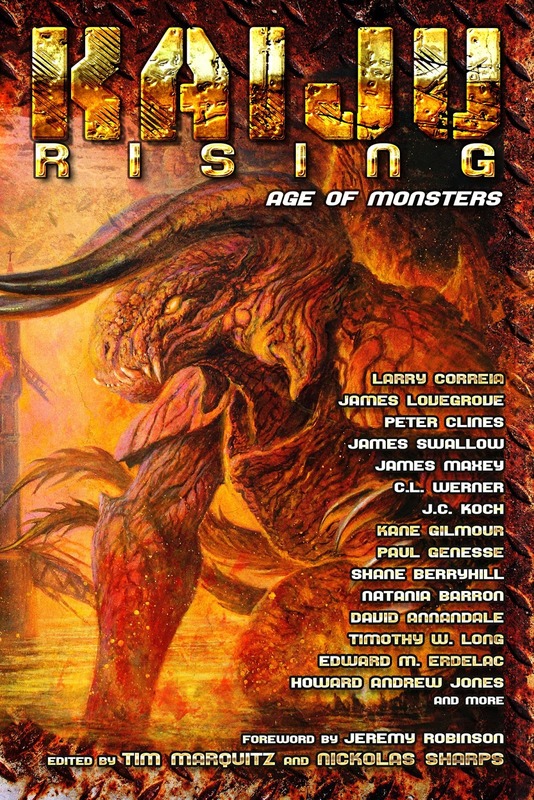 Kaiju Rising: Age of Monsters is a collection of 23 stories focused around the theme of strange creatures in the vein of Pacific Rim, Godzilla, Cloverfield, and more. 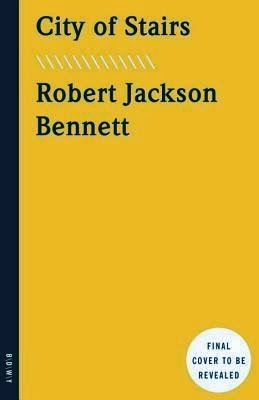 The anthology opens with a foreword by JEREMY ROBINSON, author of Project Nemesis, the highest selling Kaiju novel in the United States since the old Godzilla books—and perhaps even more than those. From New York Times bestsellers to indie darlings Kaiju Rising: Age of Monsters features authors that are perfectly suited for writing larger than life stories. 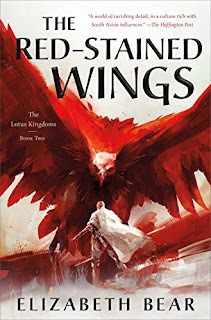 This is a brand new Military SF series from Weston Ochse, an experienced military man and author. For years, their spies have been coming to Earth, mapping our cities, learning our weaknesses, leaving tragedy in their wake. Our governments knew, but they did nothing—the prospect was too awful, the costs too high—and now, the horrifying and utterly inhuman Cray are invading, laying waste to our cities. The human race is a heartbeat away from extinction. That is, unless Mason, and the other men and women of Task Force OMBRA, can do anything about it. A brand new military SF series takes a footsoldier’s-eye-view of the battle with an alien infestation. 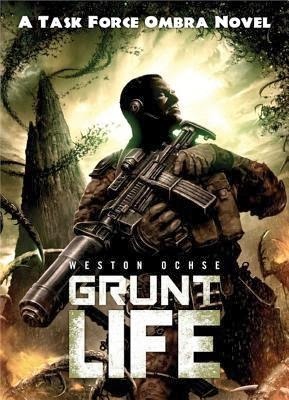 In the vein of 'Aliens' on Earth, Grunt Life sees a serving US military man bring a dose of reality to the threat from the void. A village that burned to the ground 200 years ago, and a bloodthirsty evil that has bred underground for generations. 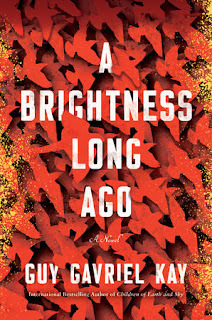 A kidnapped American scientist, the threat of all-out nuclear war, and ancient Chinese torture. 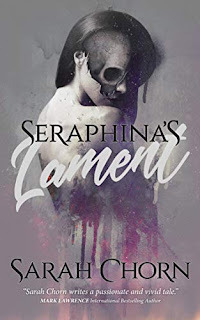 Mailbox Monday sci-fi Stacking The Shelves suvudu thriller What Are You Reading? Nice haul this week. I am also eager awaiting my package from Andy Remic. Shirt and swag look awesome! Oh nice! These are new to me but awesome swag! I love bookish t-shirts! Especially ones that promote a book! Usually because the people I hang out with are clueless as to what books/authors I read. Read so many as it is! Hope you enjoy all your new reads and swag! Great group of book. Enjoy your reading and thanks for visiting this week. The Iron Wolves swag is just awesome! Need to pick up that first book. A bit hooked on Kaiju now. These are new to me but the look great. Moth and Spark looks intriguing...hope you enjoy them all. Thanks for visiting my blog. Man, you got some great looking reads. I am curious to see your thoughts on Moth and Sparks and Nightcrawlers so I am now following you on bloglovin! Enjoy your reads! Cool swag! Is that a real weapon, or is it a picture on the t-shirt? It looks real! Yep, I've heard great things about Moth & Spark. I may have to give it a read too. Never heard of these but i hope you enjoy them! ENJOY!! I don't know these titles. The swag is neat! Enjoy your books! Sweet swag! Kaiju Rising is one I will have to look into. Happy Reading!